The Prompt: Pains and Gains—Do you agree with Jane Fonda’s favorite exercise motto, “no pain, no gain?” Is it impossible to attain greatness without considerable hardship? I think that it is possible to attain greatness without considerable hardship in that all the effort you go to to achieve what you achieve is often in an area where hard work becomes play. I have sat up all night writing or doing art for most of my life for the past thirty or more years and it wasn’t hardship because I loved doing it. In fact, I was compelled to do so. I’ll bet you anything that Jane Fonda enjoyed all that hard exercise. I, on the other hand, prefer to exercise my hands typing on keyboards or maneuvering flex shafts or paint brushes! And with my sort of exercise, an occasional Margarita doesn’t hurt! She: What is the most dreaded disease of hockey players? She: What is the most dreaded disease of Narcissists? This entry was posted in Humor and tagged Bad Jokes, Humor, internet romance, Judy Dykstra-Brown, Really Bad Jokes, Skyping on August 30, 2014 by lifelessons. Click once or twice on photos to enlarge. The nourishing environments of still water and the forest floor both bloom in circular beauty. Whether the tiny orange “flowers” were flowers, mushrooms or another type of fungus, I couldn’t determine and I was too far behind our guide to ask. 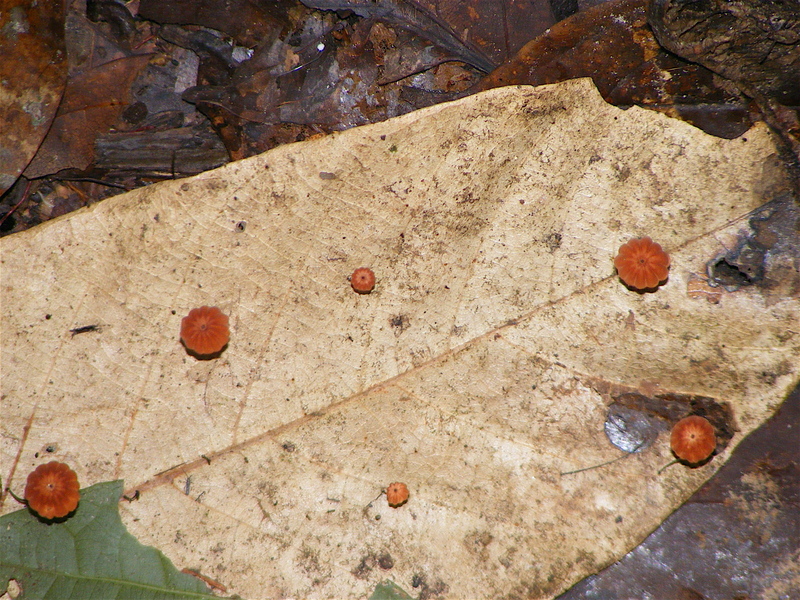 The forest floor is in a Lacandon Reserve in Chiapas, where one of the few remaining members of this purely Mayan village led us though the forest. The cycle of nature is clearly portrayed as life springs forth from decay. 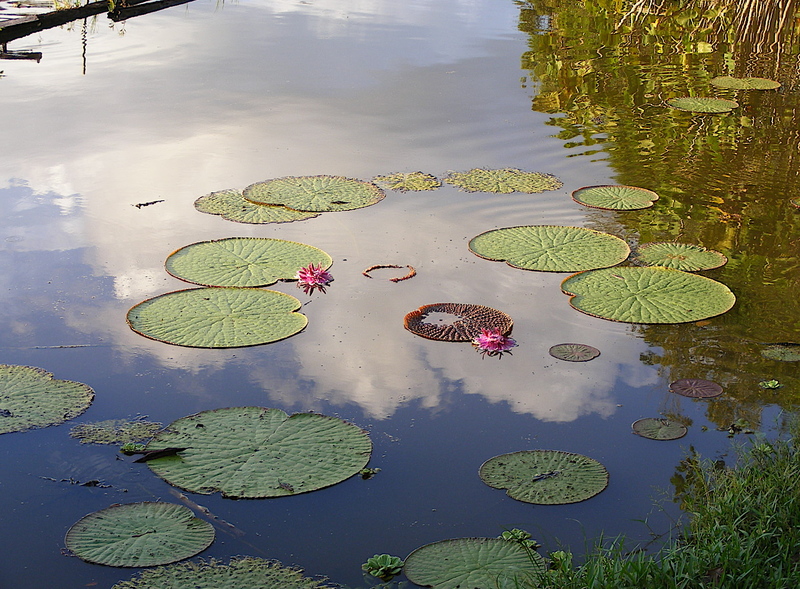 The still pond is actually a still inlet of an Amazon River tributary in Peru. Weekly Photo challenge: Bring together two of your photos into dialogue. What do they say to each other? This entry was posted in Uncategorized on August 29, 2014 by lifelessons. The prompt: Tell us about what happened the last time you were up early (or late…). She: maybe I need to take Frida (the Akita) to the snore doctor. She: Perhaps she has sleep apnea. She sounds like a lion when she sleeps. She: Have you ever heard her snore? She: Do you miss it? She: You miss my snores? Sweet. She: I miss snoring for you. He: That’s the first line of a poem. She: I’ll write a poem starting with “I miss snoring for you,” if you will, too. He. : I’ll try to remember to do so tomorrow. when you aren’t with me. He: it just blows me away how you can come up with something like that, so achingly beautiful, in less than five minutes! She: Ah. You inspire it. She: Ha. That is exactly it! Update: “He” has written his version, as agreed. You can see it here. This entry was posted in Uncategorized and tagged After Midnight, Cyber Romance, Daily Post, Daily Prompt, Humor, humorous poetry, Internet Dating, Judy Dykstra-Brown, Judy Dykstra-Brown Poetry, love, Muse, poem, Poems, Poetry, Poetry by prescription, Skype, The Daily Post, Verse, writing on August 29, 2014 by lifelessons. The Prompt: Head Turners—We often hear strange snippets of conversation as we walk through public spaces. When was the last time you overheard something so interesting, ridiculous, or disturbing you really wanted to know what it was all about? This entry was posted in Compulsions, Daily Life, Daily Post, Daily Prompt, Listening and tagged Daily Life, Daily Post, Daily Prompt, Humor, Judy Dykstra-Brown, The Daily Post on August 28, 2014 by lifelessons. I need to choose three poems to submit for a poetry competition. These are the 5 poems suggested by friends and bloggers as ones I should submit. If you have the time, I would very much appreciate your telling me which three you would choose. Or, if there is another poem that should be on the list, let me know. I only have 3 days to do this. Help!!! The Prompt: Some words really sound like the thing they describe. Do you have an example of such a word? What do you think creates this effect? I’ve Always loved the word “flutter,” which was the original title of this poem. 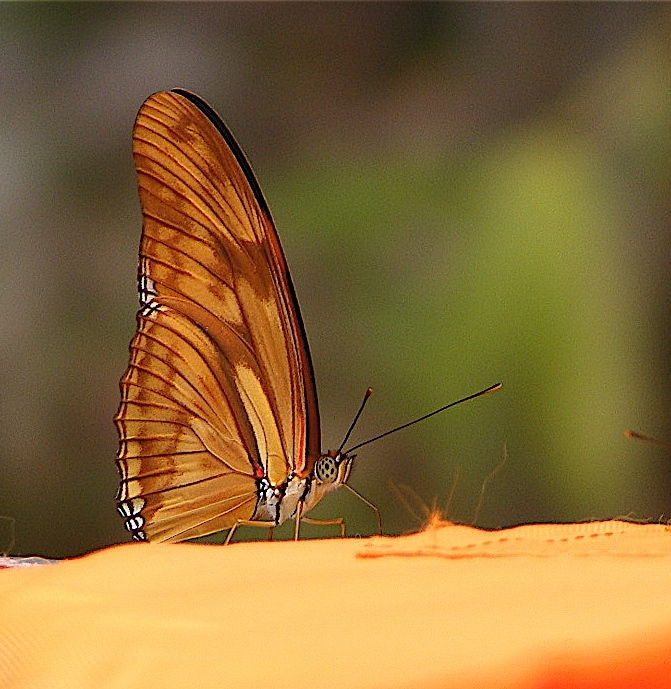 What better word could be used to describe the motion of moth wings? 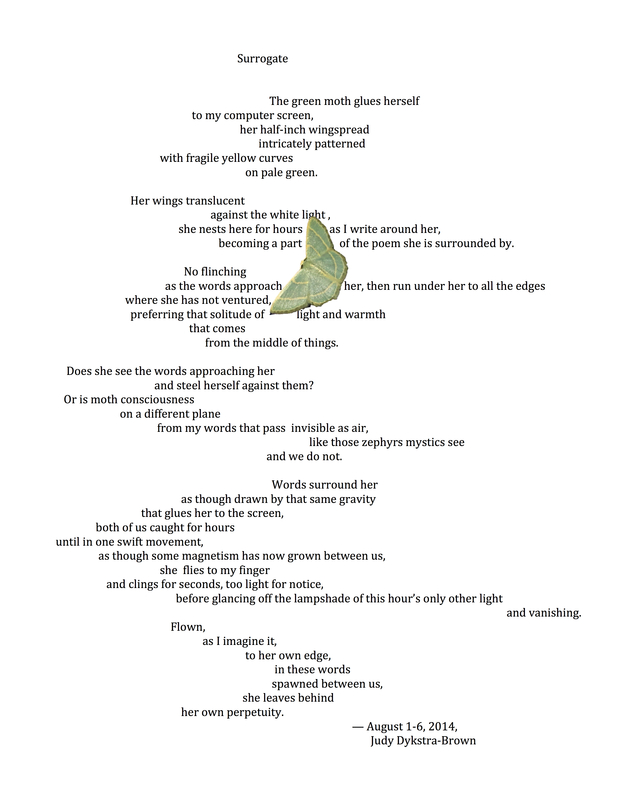 The moth described in my poem, however, was noticeable because of its lack of flutter. It landed upon my computer screen like a magnetized object to metal and remained there for over two hours. The moth pictured in the poem is the actual moth. Tiny and green, it became part of my writing experience. Since it had chosen to remain in one position, directly on my screen, I was forced (by choice) to write around it, which could not help but influence the poem that resulted. The Prompt: Middle Seat—Your neighbor on the plane/bus/train is very chatty. Do you try to switch seats, go for a non-committal brief small talk, or make this person your new best friend? his life pulled leaf by leaf from his family tree. of jobs held, wives loved, children raised. of the small pueblo where he was born. standing in their boats to tour the lake like kings. reading my memory as well. “Come,“ he tells me, giving me directions and a date. I do not tell him I have been to that fiesta years ago. if it was not to read each other? in its place behind the swinging doors. This flower that you give me is a mystery book. and then the warm embrace that you enfold me in. After NaPoWriMo was over last year, I missed the daily prompts and so asked friends and followers of my blog to send in topics. One friend asked me to write about my dogs and another suggested the topic of dreams. I combined their prompts in this poem. My eyes still closed, I’m swimming deep. than schedules, crafts, menus, schemes. Much finer draughts we quaff in dreams. My dreams too dark for this morning place. that’s buried deep in dreams laid bare. that draw our quarry to bookstore shelves. When I rise to feed them, the poem is lost. The prompt: Write a poem making use of three of the five senses. using three of my five senses. hidden in the custom headboard of my bed. File cabinets fill the bottom of every closet. That’s how much I need another file cabinet. how the love seat smells. like thousands of small rivers forming a network. exactly which leather it is on Google. could divert me for at least an hour. after the last party a friend attended before he died. and bought a stain-proof leather sofa with matching loveseat. or exclude anyone from my guest list on account of my divan. This leather feels like hanging on to old friends for as long as you can. and I know exactly where it should go. who come to play there. and the poetry that’s read there. for the comfort that is to come. and music and refreshment. Oh, and poetry. The Prompt: Is there a cause—social, political, cultural, or other—you passionately believe in? The cause I most believe in is getting in touch with your authentic and true inner voice. Would that more people involved in making decisions that will alter our world would do so. This poem is really about the creative process where, when done right, there is only truth. It is also about all the things that get in the way of this process. My mind is a growling dog. stranded in their own story. If there is a different poem you think should be included, please let me know! Just three days to do this! Many Thanks for helping. I value your opinion. This entry was posted in Uncategorized and tagged Competition, Judy Dykstra-Brown, Poll on August 27, 2014 by lifelessons.